You want the whole park and nothing but the park? You got it. 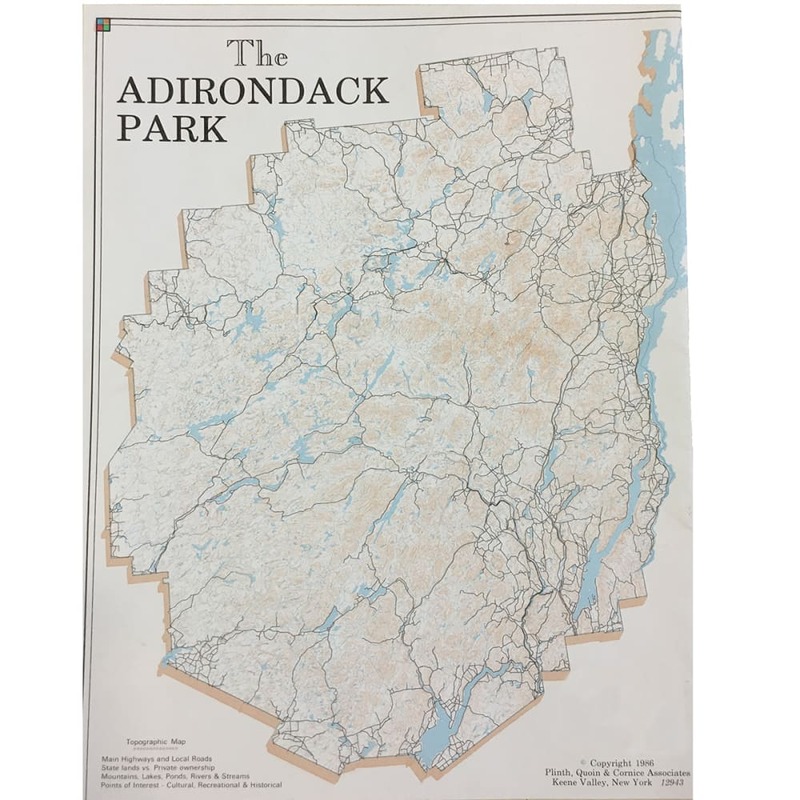 This topographic map details the Adirondack Park all on one side (no lining up map pages or flipping over for more details).